Page Street Publishing, 9781624144394, 160pp. With sweet cakes, savory cakes, decadent cakes, light and refreshing cakes and everything in between, the possibilities are truly endless. This book is packed with fun, accessible and unique desserts that anyone can master—the hardest part will be waiting for your oven to preheat. 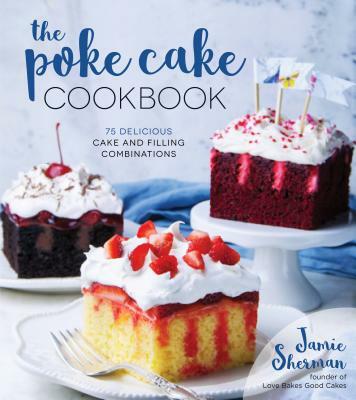 Jamie Sherman is the founder of the wildly popular food blog Love Bakes Good Cakes. Her work has been featured on numerous online sites including Foodgawker, MSN, BuzzFeed, the Huffington Post, Walmart, Country Living, Woman’s Day, Delish, PopSugar, PEOPLE, PARADE and many more. Jamie lives with her husband and five children in Phoenix, Arizona.